All this goes on while we are asleep, and while certain comedians masquerading as linguists tell us that the furkish name of a certain foodstuff is from the Urrtuan language. I have nor seen that garbage in the that furkish rag, neither do I want to. The below rebuttal tells us enough. According to Hurriyet, presently activities are carried out in Turkey to receive 3D designs of Van kings gravestones through laser and the latest technologies; the work was taken up by the Department of History and Archaeology of the University in Istanbul. According to the same source, the Turks consider the gravestones the most important monuments of Urartu period. Naturally, all of this is attributed to the Turks. Aravot.am asked Dr. Ashot Melkonyan, director of the ANAS Institute of History, Doctor of Historical Sciences, to give assessment to all that: Im not surprised, Turks have started to appropriate the history of Urartu long ago, and we certainly have a share of guilt in this. Unfortunately, there are directions in our historiography, which do not see Urartu as an integral part of Armenian statehood and consider an anti-Armenian state. In the result of this approach to the history, our neighbors master the history of Urartu. The Turkish Historical Society, which was created in the 1930′s by Mustafa Kemal instruction, faced just a similar problem, to show just from the beginning the presence of Turks in this region, particularly, in Van kingdom. And, now they consider this issue resolved at the state level, they consider Urartu to be the first Turkish state in this region. I think that our historiography needs to finally give up the rotten concept of historiography, and fully presents Urartu as a unified Armenian state with its ethnic composition, like we tried to do it in high school textbooks, the same is now done in 6-9th grades textbook. Generally, in the issue of history of Urartu, not only Turks but Azeris, and partly Georgians have become claimants, in which our previous generation have their share of guilt,-says Mr. Melkonyan. And what disturbs to counter the Turkish falsification on a state level? I repeat, there is a scientific point of view, according to which Urartu is not Armenian in reality, it is pre-Armenia, whose language was not Armenian, as if there was such a language, Urartian, which had nothing in common with Armenian language, and as if the kings of Urartu were not Armenian descent. Under these conditions, of course, there cannot be a state approach, when, unfortunately, there is no single approach in historical sciences. Anyway, the opinion of the Institute of History is unambiguously: Urartu is our kingdom of Ararat, the first unified Armenian state formation in the Armenian Highland, before which, still in the third millennium there were other state formations, as Araattan, Etiunin, Hayasa Azi and more. In other words, the history of Armenian statehood at least begins from the third millennium before Christ,-assures the scientist. Arpa! Missed you very much. This thread brought to memory these topics, especially "Urartu", and compels me to write what's on my mind. The syllabic cuneiform designation of "RRT" has only been discovered on later Assyian sources, while most later Babylonian sources use the designation of "R-SH-T", (including the one at Behisitun, which is the "Babylonian" R-Sh-T and not later Assyrian "RRT") which some have transliterated it as "Urashtu", which means "Land of Fire." The three languages on the Behisitun rock are Elamite ("Harminuap"), Babylonian "Urashtu", and Persian "Armina" or "Arminiya". Both variants, "Uru-Atri" as well as "Ur-Ashtu" are well within indo-european lexicon, unless you have a blatantly anti-Armenian bias. "Atr, Atar" and "Asht" as in "Ashtanak" (which brings up the topic of Armenian to Pahlavi versus Pahlavi to Armenian influence) are still Armenian terms for "combustion, torch, pyre, fire" and so on. This makes one tend to re-evaluate Gavoukjian's assertions, that possibly influenced V. Ivanov who picked up on this, that Sumerian and Armenian coexisted for quite a long time and subsequently both languages influenced the subsequent Mesopotamian languages, which is the precise opposite of the current prevailing paradigm. Another variant is the "Uru-atri" which has the same roots of "locale/land" (uru) and "fire" (atri). The "Urartu" form seems to be entirely arbitrary and subjective. 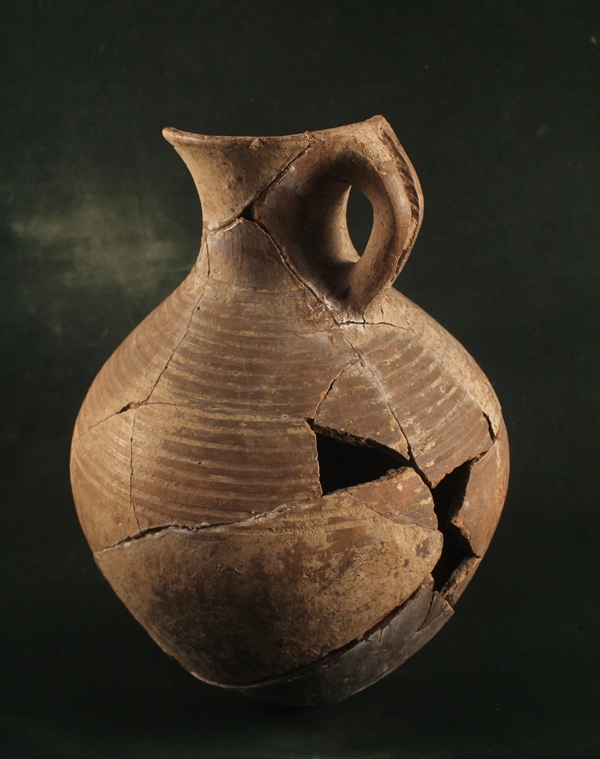 objects that shed light on social and cultural life of the Urartians. centuries-old excavation field, where 35 academics are working. the royal people living in the citadels. is now being scientifically examined," he said. excavations in the tumulus are very important." important data to determine the history of the city," Konyar said. "In the entire area of research we found layers of burning and ash. Krzysztof Jakubiak, head of the project. of Polish archaeologists are evidence of the fighting and cruelty. cut off, and of another person with a split skull. illustrate the scale of predatory Urartu invasion. centres in the Aras Valley. century. Polish archaeologists began excavations in Metsamor in 2013.
and the Ministry of Culture of Armenia. On April 18, the day for protection of monuments, the Erebuni"
organizing such exhibitions," he said. ones, out of considerations of development of tourism. where serious research works are being conducted. period, the Kingdom of Van, etc. painstakingly working to unlock the secrets of an ancient kingdom. years in Van, eastern Turkey. the mid-ninth century BC until its defeat by the Medes. been buried for thousands of years. university teams have been working together. was located, and the northern quarter. Castle. This year they discovered part of the walls. fortresses of Sevan basin, Odzaberd dating back to 10-6 century BC. Museum Reservations" SNCO informed the journalists about this. conducted", "Armenpress" reports that Ashot Piliposyan informed. 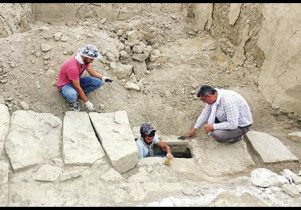 An ancient Urartian sewage system, which was first discovered during excavations in 2004 in the Çavuştepe Castle in the eastern province of Van, has been unearthed, the Hurriyet Daily News reports. This year’s works in the castle in the Gürpınar district of Van recently came to an end, after unearthing ancient vineyards, walls, cisterns, temples and palace structures. The 2,800-year-old sewage system, which was discovered in the castle in 2004, was finally unearthed under the structures in the western part of the castle. The sewage is one meter in width and 30 meters in length and covered with fine stones. The head of the Culture and Tourism Ministry-supported excavations, Rafet Çavuşoğlu, an associate professor in the Archaeology Department of Yüzüncü Yıl University, said the Çavustepe Castle was particularly important in history because it was once located on a major trading route. “The Urartians thought carefully about what to build and where. They did everything in line with a project. When establishing this city 2,800 years ago, the Urartians made an urban plan and built structures according to infrastructure. This is very important to us. We found an engineering marvel here,” Çavuşoğlu said. He added that the sewage system was built with stone and inside was a gutter through which water flowed. “This work defines civilization to us. It shows how ancient civilization was developed. There is also a toilet in the palace section. The toilet water flows outside through the sewage system, which reveals that the Urartians were a very civilized society,” Çavuşoğlu said. “During the construction of houses today, an excellent system is planned with schools, hospitals, mosques and infrastructure. Urartians did the same 2,800 years ago,” he added. The city established around the castle was nearly one kilometer in diameter and surrounded by protective walls, according to the excavations head. “Measures were taken against the danger of enemies. Large dikes were opened up on both the eastern and western sides. They made their defense system in this way,” Çavuşoğlu stated. 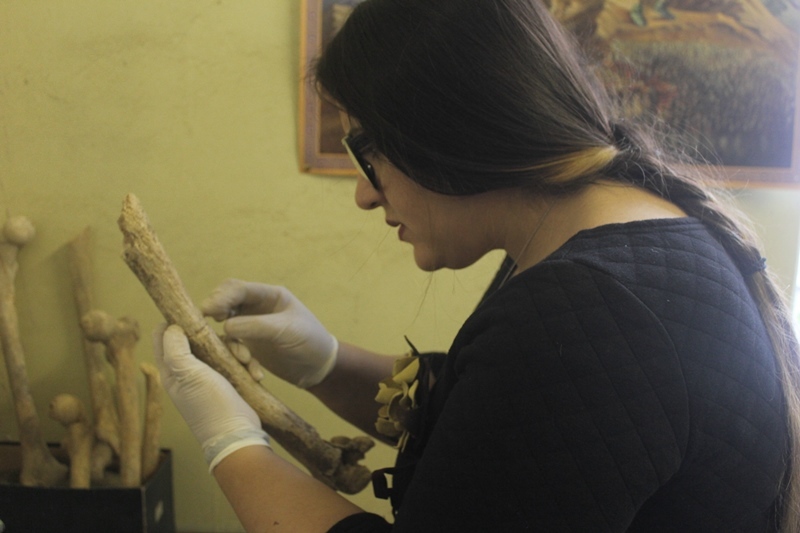 The material values dating back to the Urartian (Van) kingdom period which have recently been discovered in Gegharkunik region of Armenia, are being cleaned and restored in the restoration laboratory of Protection Service SNCO of Armenia. The service informed Panorama.am that certain findings stand out in terms of their form and preparation method, namely the red, polished jug-cup with two lugs, the ancient clay bawl, the two large oval agate beads, engraved inserts made of animal vertebrae bones, the remains of iron daggers and spears and some others are of paramount importance. The anthropological and animal remains make up a large part of the findings. According to Deputy of the SNCO’s Director on scientific works, Doctor of Historical Sciences, Professor Ashot Piliposyan the archaeological finds which are currently under study are exceptional and date back to the 7th century BC. “We received a call from the Geological Museum of Gegharkunik noting that the villagers have accidentally come across archaeological findings during the construction works, however they could not manage to acquire the important materials due to the lack of funds. We headed to the scene to study the area to find out that a mausoleum of Urartian period had really been discovered near the cemetery in Hatsarat village of Gavar. Following the talks the inhabitant who had discovered the archaeological findings agreed to completely hand it over to the Protection Service SNCO,” Ashot Piliposyan noted. The objects will be cleaned and restored to later be displayed as part of Metsamor Historical and Archaeological Museum-Reserve's permanent exhibition of Urartian era. In the words of Ashot Piliposyan the remains of the human beings are of paramount importance. Currently the material is being studied by SNCO’s archaeologist Hasmik Simonyan. “Human and animal bones have been found out in the mausoleum. The current study shows that they belonged to five adults four of whom were men. It is already clear that those men have suffered spine diseases. We have launched the activities of joining the bones which will be followed by skull restoration, which is the most difficult part as the skull bones are crushed. The skull studies will reveal the death causes of those people,” he noted. Due to Hasmik Simonyan’s hard and responsible work it will be possible to acquire important information on the lifestyle of the Urartian people. Hungarian police say they have finished their investigation of a trove of Persian, Sumerian and Assyrian antiquities found last year in a truck, the Associated Press reports. 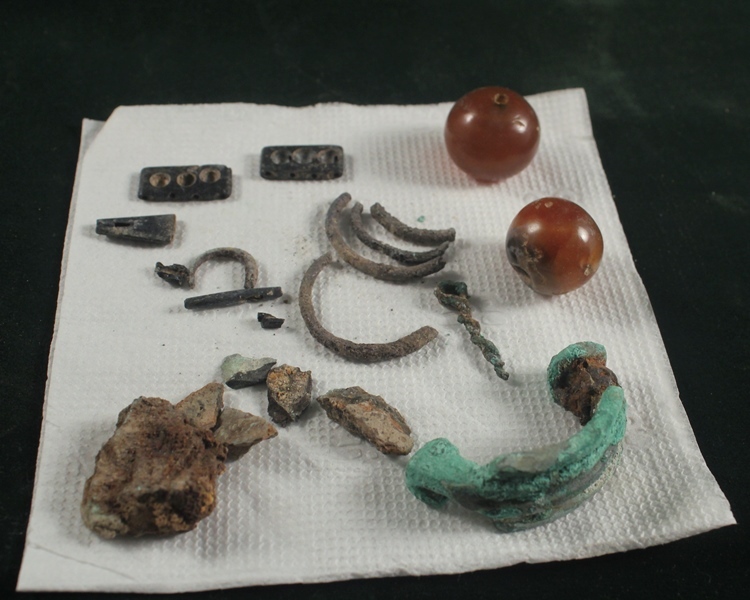 Police in Bacs-Kiskun County said Wednesday that bronze objects from as early as 900 B.C. were among the dozens of items recovered. The artifacts, including a helmet, small bells and horse tack, were likely from the grave of a high-raking military officer from Urartu, also called the Kingdom of Van, corresponding to parts of modern Armenia and Turkey. Police found the objects during a routine search on Sept. 29 of a truck going to Lithuania. They have recommended that the Turkish driver be charged with receiving stolen goods. The entire collection is estimated to be worth up to $690,000. A n estimated 103 ancient artifacts from Armenia will be on display in Tehran from October 17-January 17. Accompanied by two representatives from the History Museum of Armenia in Yerevan, the artifacts arrived in Iran on Tuesday, and were safely taken to the National Museum in Tehran, ISNA reported. 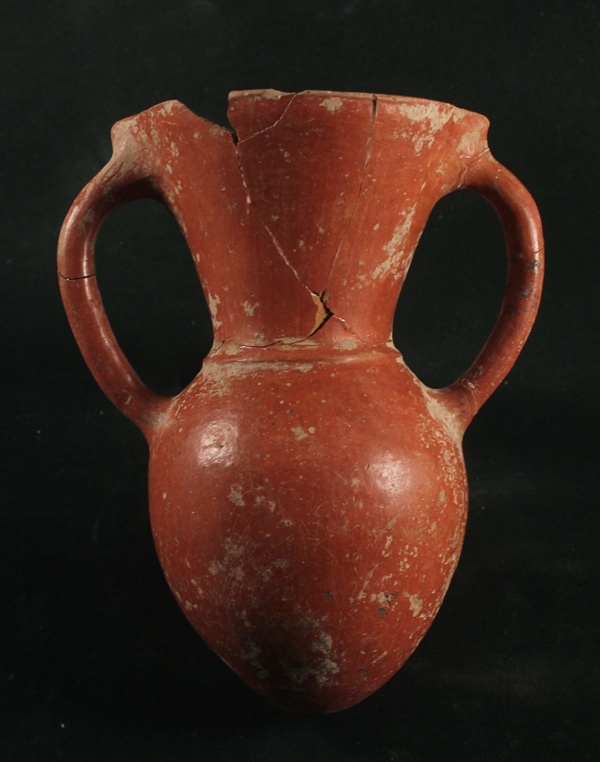 The focus of the event is on those artifacts that hint at the civilization of Urartu, an Iron Age kingdom that flourished around Lake Van in eastern Anatolia. The first joint chapter of history between Iran and Armenia is said to have taken place in Urartu. The event is the product of a memorandum signed between Iran’s Cultural Heritage, Handicrafts and Tourism Organization and Armenia’s Ministry of Culture. It is organized on the occasion of National Museum of Iran’s 80th anniversary, according to director general of the museum, Jibrael Nokandeh. “The museum will showcase a collection of South Korean artifacts next month, and in late winter over 60 relics from the Louvre Museum in Paris, the largest museum in the world,” Nokandeh said. 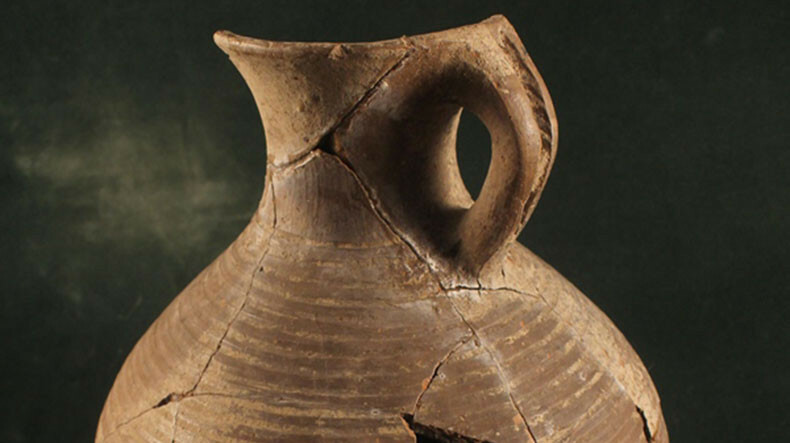 Relics discovered during archaeological excavations in provinces of Semnan and Gilan will also be on display at the exhibition. Conveniently no mention of Armenians, Turks fooling no one but themselves! Lake Van is the largest lake in Turkey – but that isn’t its only claim to fame. Van Yüzüncü Yil University archaeologists and a team of divers recently discovered an underwater fortress there. The ancient nation of Urartu could have built the castle roughly around 3,000 years ago during the Iron Age. The team explored the lake based on local rumors of ancient ruins, despite other archaeologists familiar with the area telling them they probably wouldn’t find much. But the rumors turned out to be correct: diving team head Tahsin Ceylan told Turkey’s newswire service Andalou Agency the archaeological site is around one kilometer, or a little over half a mile, large. The fortress walls that they can see are between 10 to 13 feet in size. Some of the remains are loose piles of stones, others are smooth walls, according to National Geographic. Visual assessments led the team to estimate the underwater castle is around 3,000 years old. It would have been built when the lake’s water level was hundreds of meters lower. According to ScienceAlert, Lake Van’s water levels have fluctuated dramatically throughout the years. Urartu, a kingdom that flourished between the ninth and sixth centuries BCE, was centered around Lake Van, according to the Metropolitan Museum of Art. Other archaeological remains in the area, some higher than the current shoreline, are also the subject of study. And archaeologists and divers plan to return to the lake the learn more about the recently found sunken fortress. They’re not yet sure how deep the walls might be buried in lake floor sediment, and they hope to learn more about the people who inhabited the castle. ofarchaeologists3,000 years after it was flooded in a lake. walls are up to 13ft hight. country near the Iranian border. Iran and whose people built the castle. but the fortress is completely submerged. Van Yüzüncü Yil University, working alongside expert divers. there was little left to find beneath the waters of Lake Van. inspecting the brick walls of the fortress. castle in our city, revealing it to be nearly 3,000 years old,"
Adilcevaz district governor Arif Karaman toldHurriyet Daily News. Ceylan added: "It is a miracle to find this castle underwater. The ancient inhabitants of Lake Van moved as the water levels began to rise. Lake Van is now 74 miles across and has a maximum depth of 1,480ft. Let them (Turks) what they want to say , world knows history better them (Turks) , it is very good that doing (Turks) this kind of history changing , more and more you are going to a*******e.
Yerevan/Mediamax/. Former Turkish minister Faruk Ozak is trying to return to Turkey some valuable artifacts weighing 30 tons and 500 manuscripts, which were moved to Russia during the World War I.
Milliet newspaper reports that the former Minister of Public Works and Housing, ex-president of Trabzonspor FC Faruk Ozak “has been fighting for nine years to return the artifacts to Turkey”. “Between 2013 and 2015, Ozak kept Prime Minister Recep Erdogan informed about the stolen artifacts, and after the negotiations of the two leaders during the visit of Russian President Vladimir Putin to Turkey, the parties reached an agreement on the return of the artifacts to Trabzon. The process was interrupted by the crisis in relations with Russia, which was caused by the downing of the Russian plane,” writes Milliet. “Our artifacts are most likely to be in the Saint Petersburg Institute of Oriental Manuscripts. Among other valuable pieces, they also contain plenty of artifacts of the Urartu era and more than 200 manuscripts of the Ottoman period. We want Putin to return what they have been keeping all this time,” said Faruk Ozak. Urartu was an ancient Armenian kingdom in the Southwest Asia, located in the Armenian Highlands. Urartu held a dominant position in Western Asia in the first quarter of the first millennium BC.